Egypt's outgoing interim president has issued a decree making dishonoring the Egyptian flag or not standing for the national anthem a criminal offense, punishable by sentences of up to one year in prison and a fine of more than $4,000. The decree announced Saturday increased penalties suggested by the government late last year. 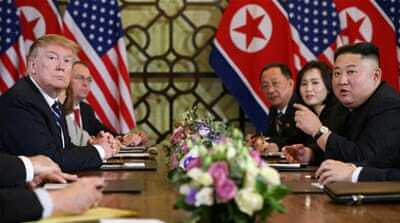 The presidential decree says the flag and the national anthem are symbols of the state that must be honored. Hundreds rally after former army chief wins landslide victory in poll EU observers called "in line with the law". 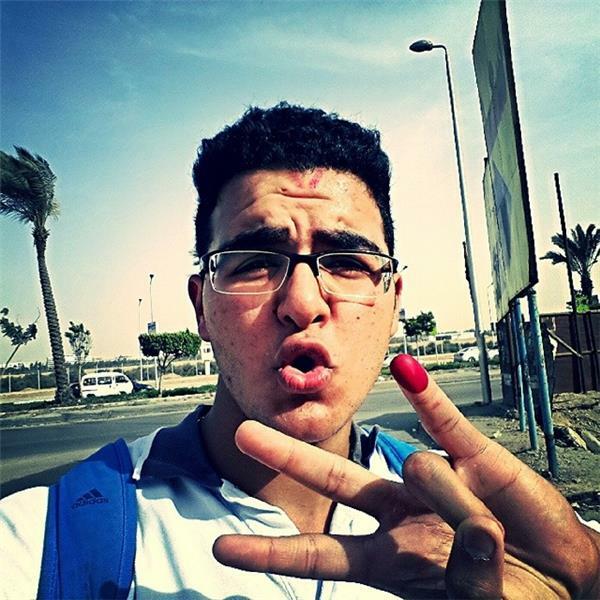 On election results: Ahmed Qenwi is a member of the legal team in Hamdeen Sabahi campaign. State TV reports that at least 21 million voters, or 96.2 percent, voted for Sisi, with ballots counted from 312 of 352 counting stations. 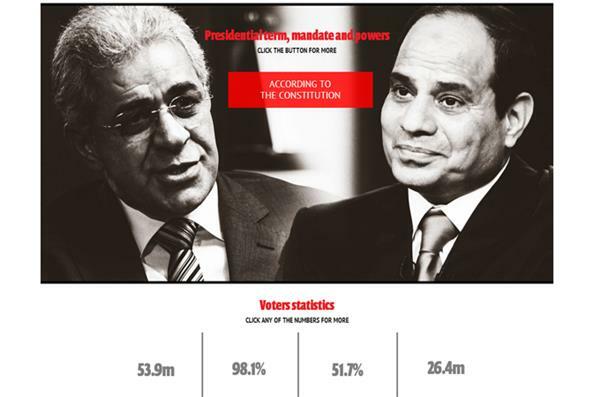 Ahram Online is tracking results per governorate on its live blog. Popular Lebanese satirist Karl Sharro has weighed in on the issue of low voter participation in Egypt's presidential elections with a mock roundtable discussion between himself, Abdel Fattah el-Sisi and Bashar al-Assad. 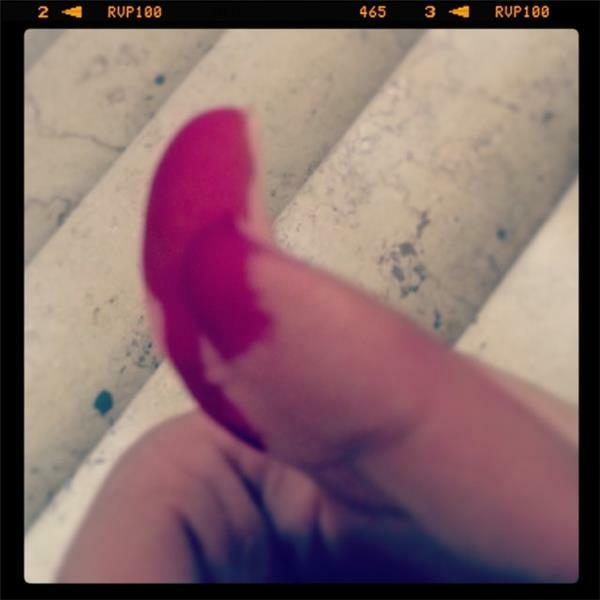 Hamdeen Sabahi has denounced the decision to extend voting by an extra day. "It is a sudden decision, taken surprisingly as a result of pressure from several parties in the first and second days, and is an attempt to impose a certain scenario on Egyptians," Al-Ahram Online quoted a statement by Sabahi's campaign as saying. The paper said Sabahi's campaign sent its legal advisor to the Presidential Elections Commission (PEC) to file a formal complaint against its decision to extend voting. The campaign of former army chief Abdel-Fattah el-Sisi also issued a complaint against the PEC's decision, Al-Ahram reported. Egypt's presidential election has been extended by one more day in an effort to boost low turnout that threatened to undermine the credibility of the vote likely to be won by the former army chief Abdel Fattah el-Sisi. 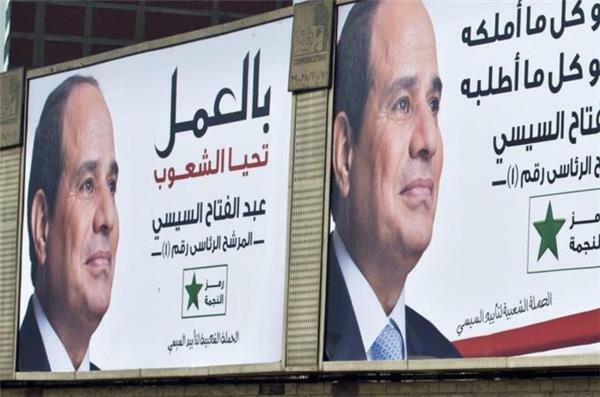 Egypt's presidential election was extended to a third day on Tuesday, the state-run Al-Ahram newspaper reported on its website, quoting a member of the body overseeing the vote that former army chief Abdel Fattah al-Sisi is expected to win. The government and media harangued voters to go to the polls in the second and final day of Egypt's presidential election, worried that turnout was weaker than expected in a vote in which the front-runner, former army chief Abdel Fattah el-Sisi, is trying to garner an overwhelming show of support. There were no official figures on turnout in the previous day's voting. But monitoring groups said Monday saw moderate in some places and often thin or non-existent in other areas, particularly where Sisi's top opponents dominate. 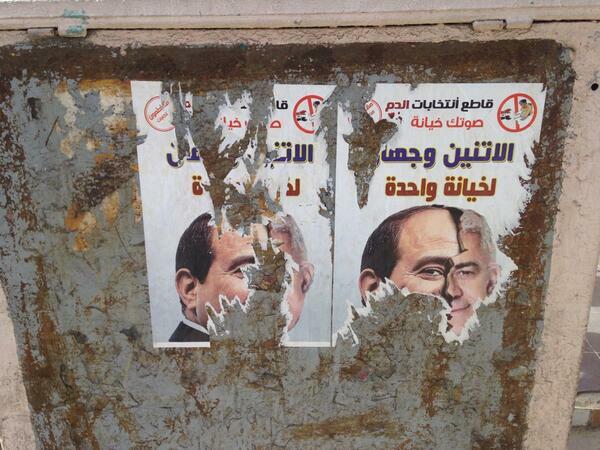 Sissi, who removed Egypt's first freely elected president last year, is poised for an almost certain victory. Egyptian voters vote in Al-Sayeda Aisha neighborhood of Old Cairo during the Egypt's presidential election, Egypt on May 26, 2014. 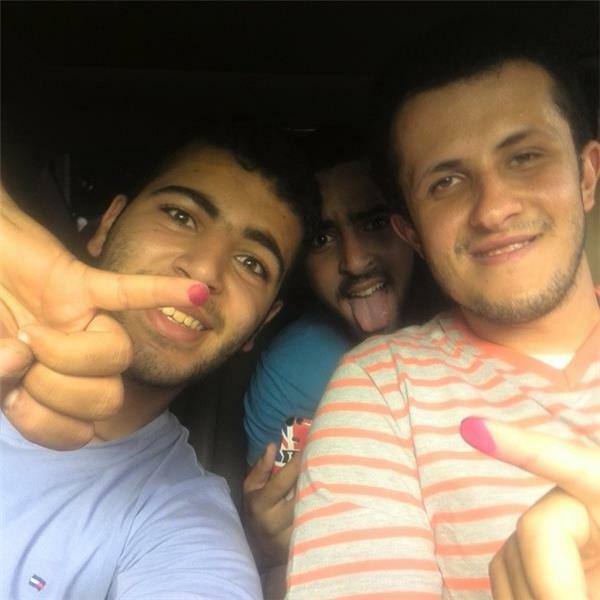 Egyptians started casting their ballots on Monday to elect a new president after the army overthrew Mohamed Morsi, the first elected president in the history of Egypt on July 3rd, 2013. ناخبون مصريون يدلون بأصواتهم في حي السيدة عائشة بالقاهرة أثناء الانتخابات الرئاسية، القاهرة. ٢٦ مايو، ٢٠١٤. بدأ المصريون التصويت اليوم لانتخاب رئيس جديد، بعما أطاح الجيش بمحمد مرسي، أول رئيس منتخب في تاريخ مصر. Man in Matareyya: "you better not be from Al Jazeera" as he made a slitting gesture across his throat. 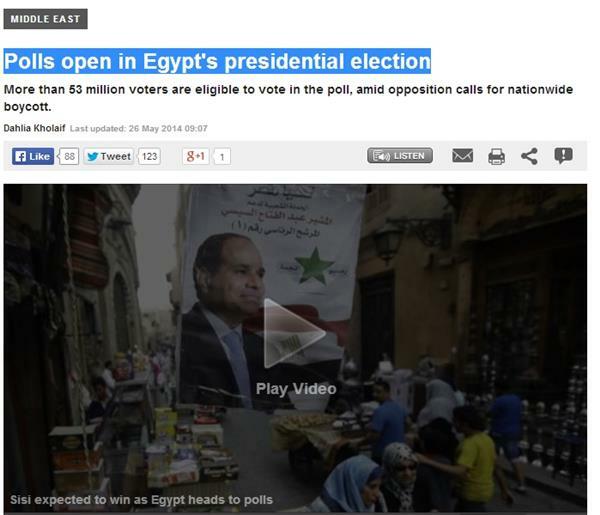 Read our latest story on Egypt elections here. An Egyptian court jailed 19 supporters of ousted President Mohamed Morsi for five years on Saturday for storming the offices of the head of the prestigious Al-Azhar Islamic institution, judicial sources said. The defendants were accused of damaging public property, assaulting civil servants, blocking roads and displaying aggression for storming the offices of the head of the Al-Azhar institution in Cairo in November, the sources said. Each defendant was also fined $2,850. A minor involved in the case was sentenced to three years in juvenile detention, while one Turkish national was acquitted of the charges, they added. Two people have been killed when supporters of ousted Egyptian president Mohamed Morsi clashed with police Friday, just hours before the end of campaigning for next week's presidential election, the health ministry said. One person was killed and 20 others were wounded in Cairo. 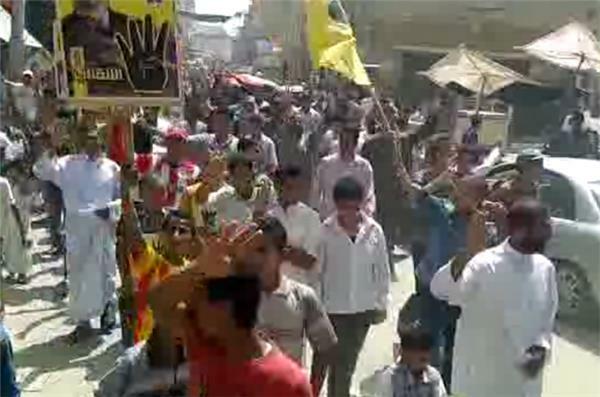 Another person was killed and three more were wounded as Morsi supporters and police clashed in Fayoum, a town southwest of the capital. 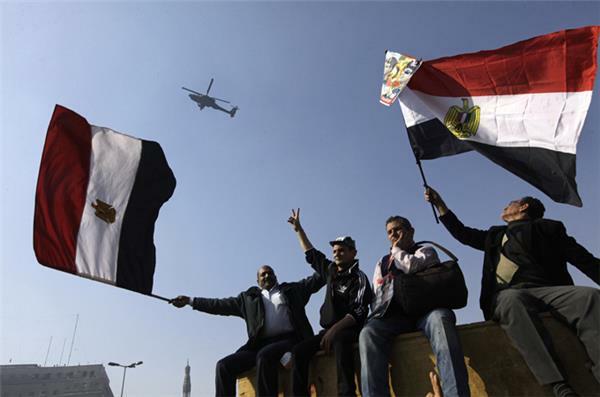 Morsi supporters also held brief protests in Cairo's Nasr City, in Alexandria and in the central province of Minya, security officials said. Police fired tear gas to disperse protesters in some areas. 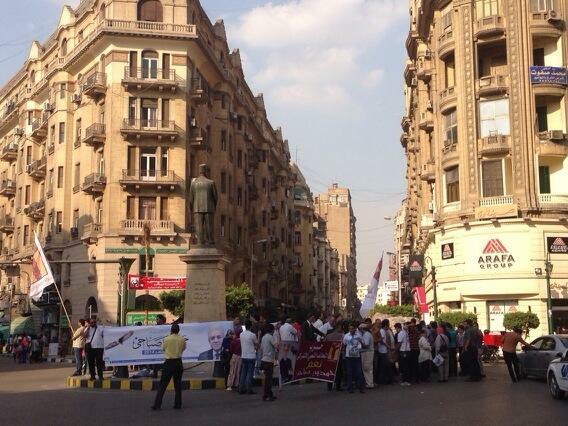 The protests were held after weekly Muslim prayers. The leader of an al-Qaeda-inspired group in Egypt's restive Sinai and three of his associates have been killed overnight, according to officials. According to three senior security officials speaking to the Associated Press, Shadi el-Manaei, who headed Ansar Beit al-Maqdis - or the Champions of Jerusalem as the group is also known - and the three others were found dead after unidentified gunmen sprayed their vehicle with bullets on a road in central Sinai. The officials said that according to the police investigation, 15 men in vehicles and armed with automatic machineguns, attacked el-Manaei's car to avenge the killings of tribesmen by his group. However, officials told the AFP that el-Manaei was killed by security forces. Ansar Beit al-Maqdis, which originally targeted Israeli border installations, has killed hundreds of Egyptian soldiers and police officers. Dozens of civilians have been held for months in secret detention at an Egyptian military camp, where they are tortured and treated badly, according to Amnesty International. Egyptian lawyers and activists have a list of at least 30 civilians who are reportedly being held in secret at Al Azouly prison inside Al Galaa Military Camp in Ismailia, 130km northeast of Cairo. 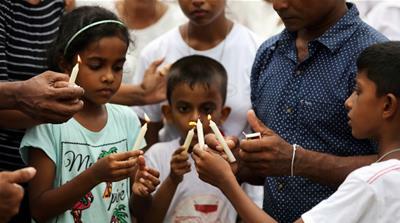 Former detainees there have told Amnesty International that many more – possibly up to 400 – could be held in the three-storey prison block. The detainees have not been charged or referred to prosecutors or courts, and have had no access to their lawyers or families. In court in the city of Aja waiting for Egypt's first ever prosecution under #FGM legislation to begin. Anti-coup protesters at Ain University in Cairo chant against the military and the upcoming presidential elections, which will take place on May 26 and 27. Students and security forces have clashed at Cairo's Al-Azhar University. The students fired fireworks at security forces who responded with teargas. Fire broke out in the exam control room and security forces arrested 22 students accused of rioting inside the university. A 17-year-old Egyptian inventor, who has created a system allowing paralysed people to operate a computer keyboard using only their eye movement, says he feels threatened in his home country and has been forced to try to start a new life in the US. Egypt's former president Hosni Mubarak has been sentenced to three years in prison for stealing public funds, in a case locally known as the "Presidential palaces case," three years after he was toppled by massive protests. 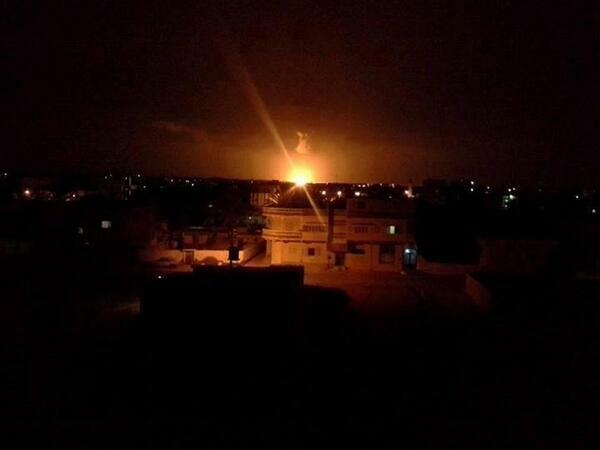 These images allegedly show an attack that has targeted a natural gas pipeline in the restive eastern peninsula of Sinai. 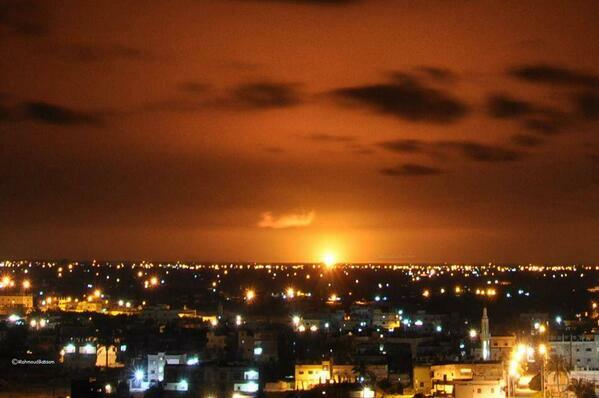 The official news agency MENA reported that the explosion, which took place south of the provincial capital of el-Arish, sparked a fire. 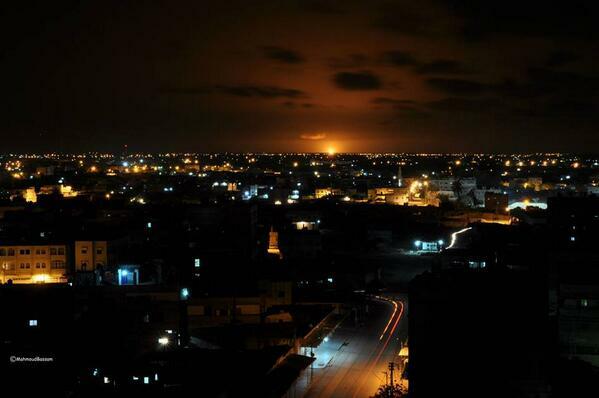 All valves leading to the pipeline which feeds natural gas to an industrial area in central Sinai and also to Jordan, were immediately closed to stop the flow of gas, the report said. Gunmen in a drive-by shooting killed three Egyptian policemen and wounded nine during an overnight rally by Islamist students in the capital, Cairo, authorities said Tuesday. Egypt's Al Masry Al-Yawm daily reported that 15 Egyptians were deported from Kuwait for staging a march in support of Sisi. reversing a decision to scale back its operations after authorities agreed to release a load of impounded equipment. Gunmen shot dead two Egyptian policemen in the central city of Minya as they were heading home, the interior ministry said. 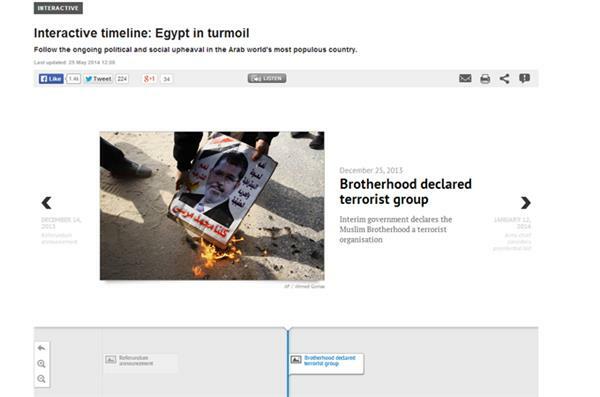 Attacks targeting policemen have risen since the army ousted president Mohamed Morsi in July last year. The two policemen, riding on a motorbike, were shot dead on the Minya-Assiut highway on Monday, the ministry said. 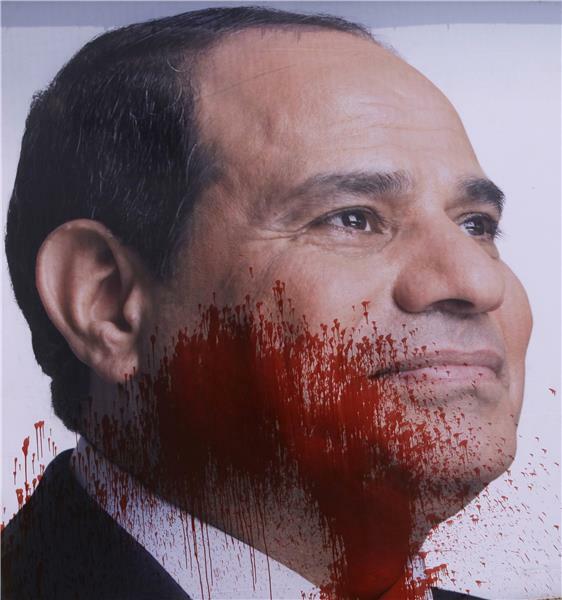 The attack comes just days ahead of the May 26-27 presidential election, which former army chief Abdel Fattah al-Sisi who ousted Morsi is expected to win. An Egyptian court sentenced 126 Muslim Brotherhood supporters to 10 years in prison each on Sunday, state TV reported, in a case related to violence in the Nile Delta province of Kafr el-Sheikh last August after the overthrow of president Mohamed Morsi. The defendants chanted "down with military rule" as Judge Hassan Fareed read out the sentences at the court convened at a police academy in Cairo, a witness said. The charges against the defendants included membership of a terrorist group. Four injured in explosion at for presidential candidate and former military chief, who was not present. The latest hearing in the trial of three Al Jazeera journalists has been adjourned. It was the eighth court sitting in the long-running case against Peter Greste, Baher Mohammed and Mohamed Fahmy. They are falsely accused of conspiring with the outlawed Muslim Brotherhood and have been imprisoned for 138 days. They will be back in court on May 22. 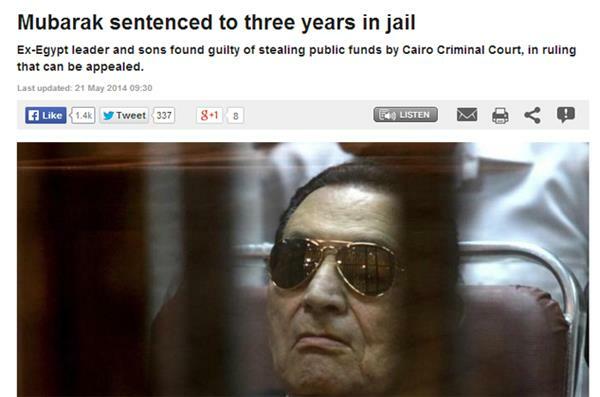 Al Jazeera rejects the charges against them. Bernard Smith reports.